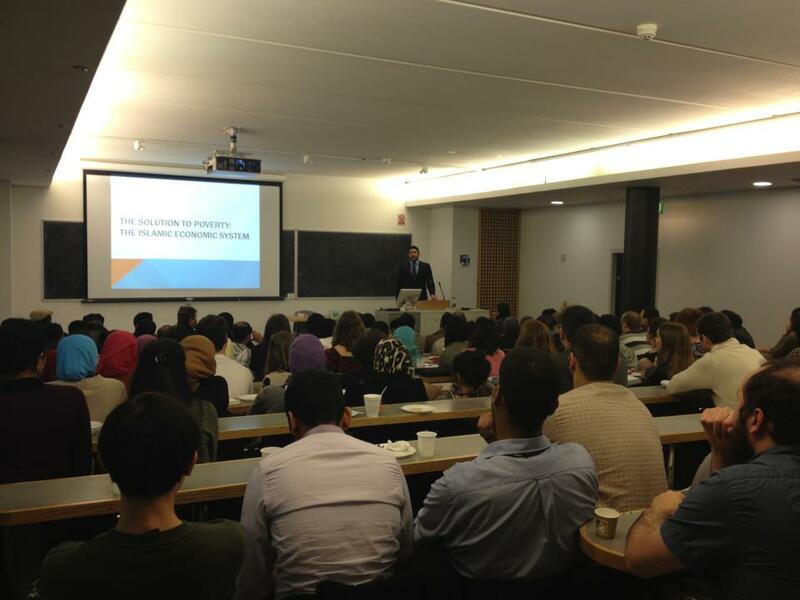 A picture taken of my lecture on ‘The Solution to Poverty – The Islamic Economic System’ at the University of East Anglia (Norwich, UK). It was a great atmosphere, with a packed room – many attendees were economics students from the university – disappointingly they didn’t challenge any of my points on Capitalism in the Q/A! In fact, questions from the Muslims attendees were more challenging – excellent my brothers and sisters! Always question people’s assertions. Their questions gave me more opportunity to go into depth on the topics. 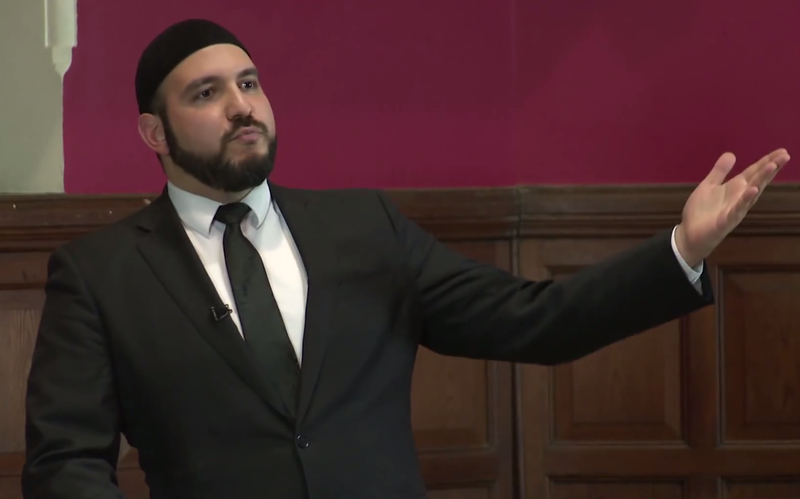 Apparently, last year when I presented a lecture on Sharia at UEA, I briefly discussed the economic system and fatefully said “It is a big topic, I could do a lecture on this alone” – and the UEA Isoc took me up on my words and I had to come to present a lecture on the Islamic Economic system in detail (I should be careful of what I say next time!). Anyways, I offer my thanks to the UEA ISOC’s hospitality, it was great to see them all again. This was the second time I have presented a dedicated lecture on the topic of the Economic System of Islam at a university, I look forward to lecturing on this further in future Inshallah.